Honda 2Wheelers India has now become the only manufacturer to sell over 25 million scooters in the country. The company achieved this milestone by selling around 5 million units in the last year. Honda 2Wheelers had taken 10 years to achieve its first 10 million scooter sales in India, while the second 10 came in just three years. When it first launched the Activa in the country, Honda had enjoyed a 10 per cent segment share, which has now risen to 32 per cent in 2018. Overall, the company accounts for 57 per cent of the market. 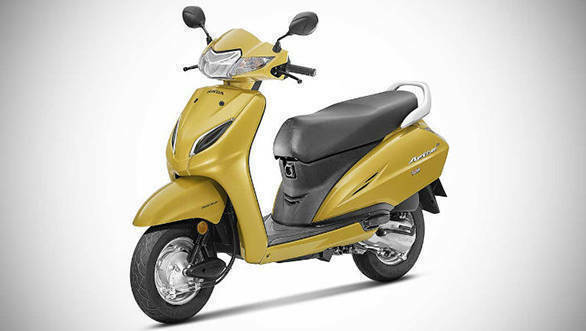 It range of scooters includes the Honda Cliq, the Activa 125, Grazia, and of course the Activa 5G. Speaking about the achievement, Yadvinder Singh Guleria, senior VP - sales and marketing, Honda Motorcycle & Scooter India (HMSI) said that Honda aims to lead the next wave of scooterisation which has already started in Tier-II and tier-III towns.